The 2017/2018 ski season has been feast or famine in terms of snow, depending on the resort. Just last week, we skied a powder covered Jackson Hole. 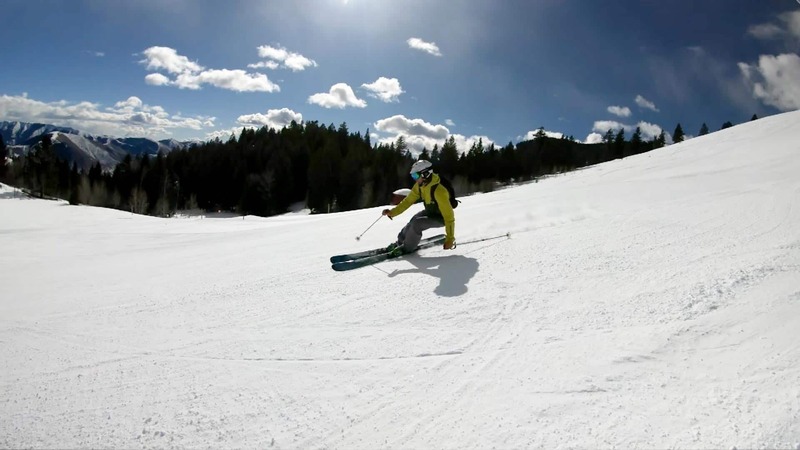 This week, however, we had to make the most of conditions in Sun Valley Idaho. 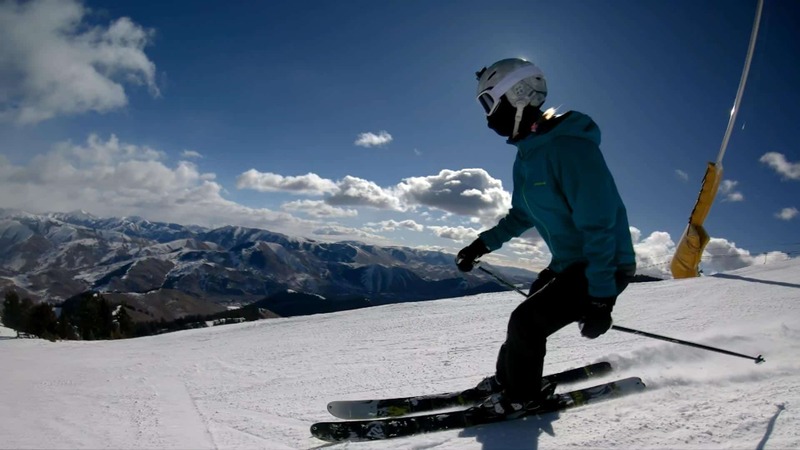 Opening in 1936, Sun Valley Ski Resort was the first ski resort in the nation. It’s no wonder that the rich history here still appeals to skiers around the world. In the early days, the likes of Clark Gable and Marilyn Monroe frequented the resort, while today Arnold Schwarzenegger and Bruce Willis can be spotted around town. The late Warren Miller began his epic filmmaking career at Sun Valley back in the day, ever raising the appeal for ski bums like ourselves. There’s no denying the appeal of Sun Valley, the laid-back atmosphere never disrupted by celebrities spotted. The town is quaint and skier-centric, not overly flashy. 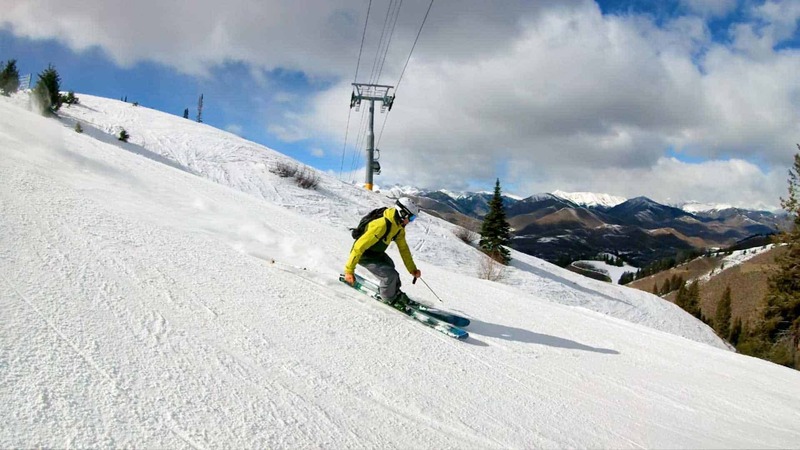 The mountain offers a wide variety of runs and is deceptively steep. 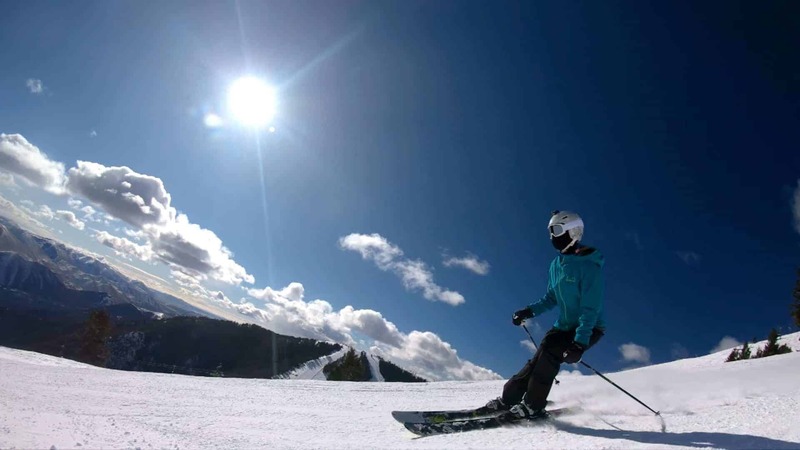 With only 35 inches of snowfall this season, however, the skiing is rough. Driving up to Sun Valley Ski Resort, we could see the barren land that we were about to ski. 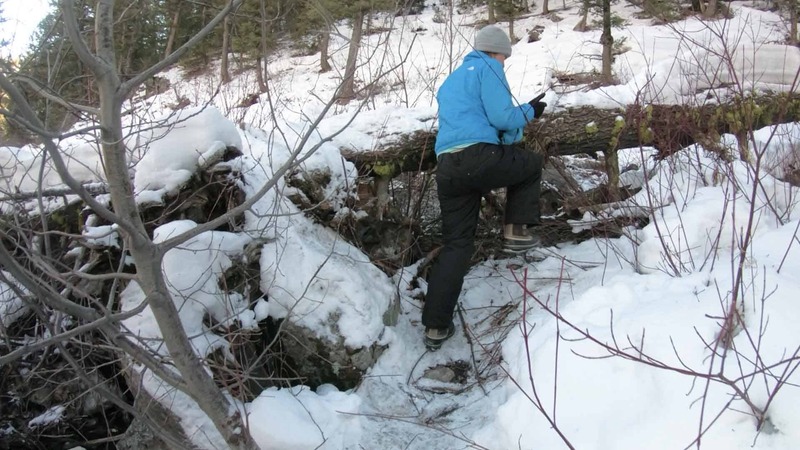 Lacking the pristine white blanket, shrubs and rocks peeked out of the little snow that was on the ground. We knew there would be no tree runs this trip. 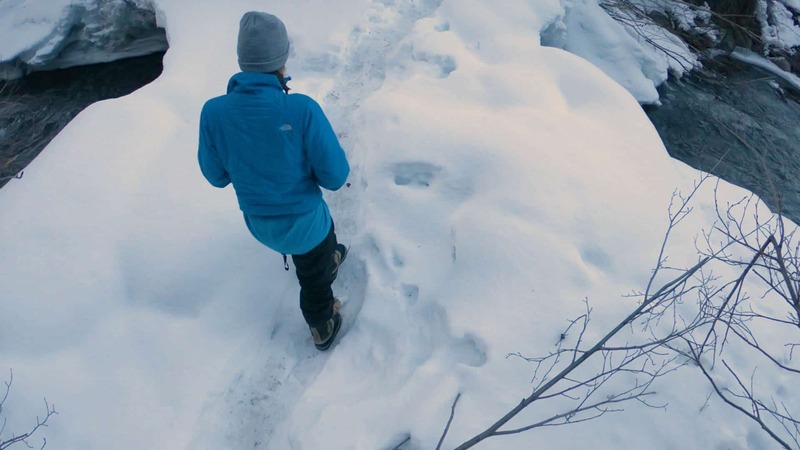 Low snow is never the ideal conditions for a ski trip, but you can’t force Mother Nature into cooperating with your plans. 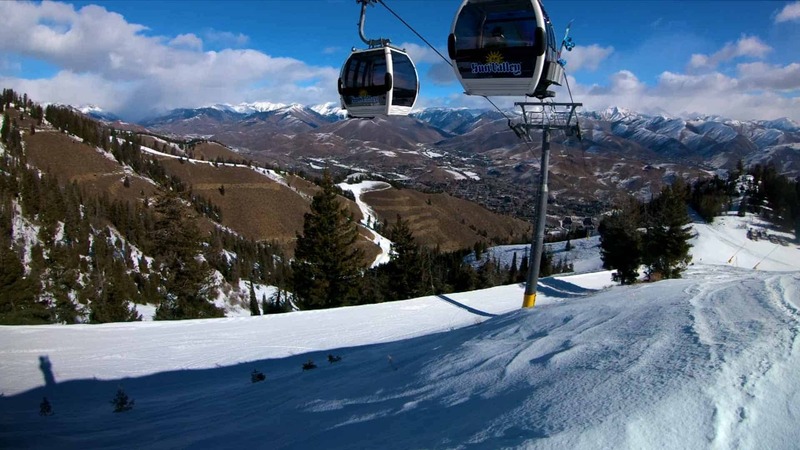 One thing that Sun Valley Ski Resort does have going for it is their snowmaking abilities. And while man made snow doesn’t compare to natural snow, we’ll take what we can get sometimes. The low snowfall at Sun Valley Ski Resort made for difficult skiing, with the ever-present ice patches hiding in the shadows of runs. After hopping off onto Seattle Ridge one time and fighting shrubs and rocks on the way down, we decided that the best skiing would be sticking to groomers. One of my favorite things about groomer skiing is you can really learn the mountain. We typically ski much faster on groomers, making it easier to cover a lot of terrain in a short time. With such few runs open anyway, we chose to make laps on a couple different runs. 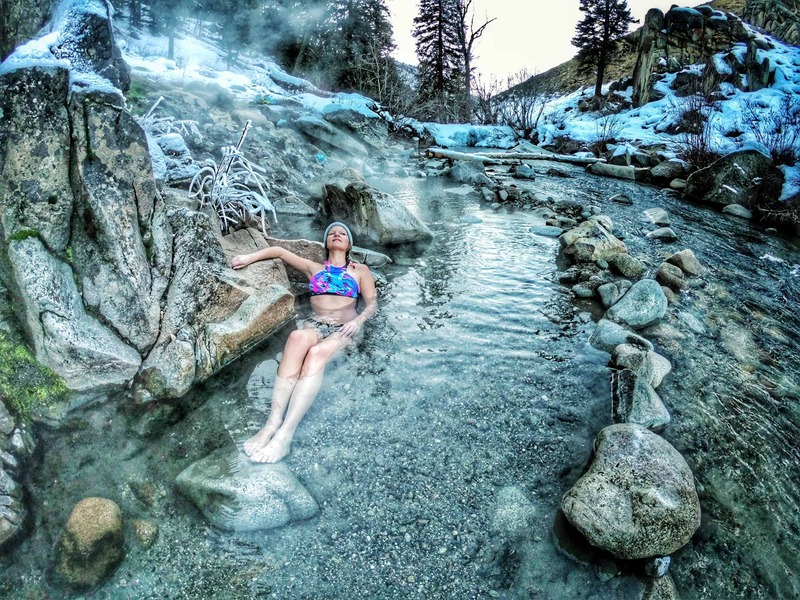 While the skiing was less than ideal at Sun Valley Ski Resort during our visit, what was outstanding was the hot spring just outside of town. 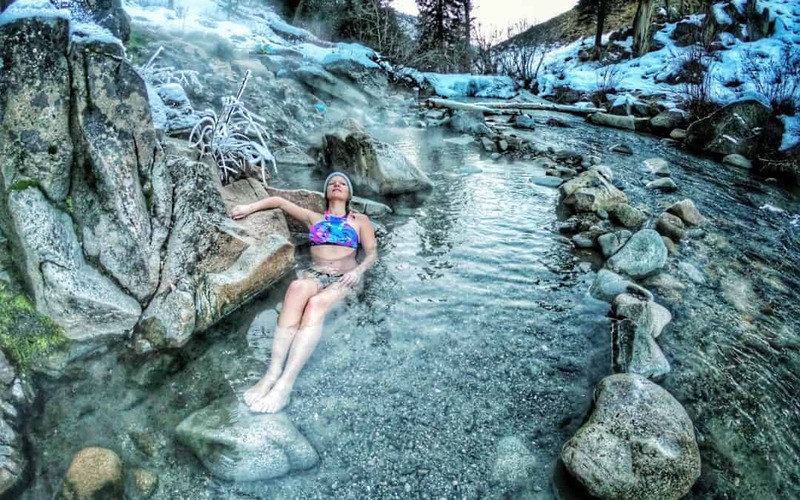 We found this spring just off the side of the road (there are several in the area) and came out to soak for a bit after skiing. 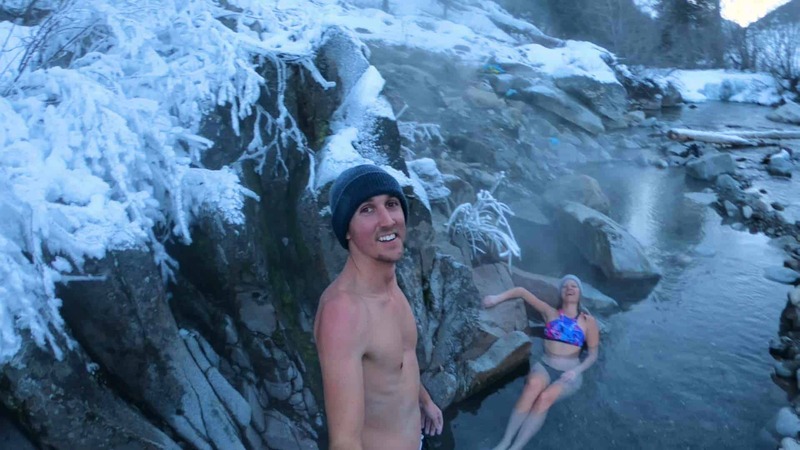 During the soak, we met some really awesome locals and had a great conversation with them. Of course, they were also bummed about the low snowfall this year, and they assured us that the skiing is typically much better than this. We knew the snowfall was low, but hearing it from locals made us feel much better about the situation. We’ll definitely revisit Sun Valley again in a better year!